New kit out by Rieneke Designs called Traditional Christmas - lots of gorgeous possibilities with this kit! So gorgeous, from very traditional elements and lots of elegant bits too. 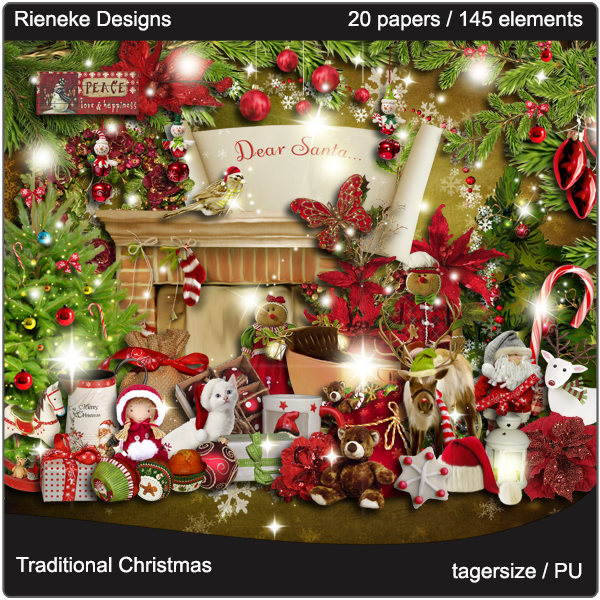 Here is a preview of this gorgeous kit and it is available for purchase at Rieneke's store here. Beautiful cluster!! Thanks so much! Thanks for sharing its beautiful !!! Love this frame! Thanks for sharing Tonya!